Talking about young people, human development experts have described the stage as a moment of the storm, a stage in the developmental growth where young adults would want to explore and express the self, as well as want to know more about the world. This uncensored urge naturally comes with an inherent challenge which adversely affects the youths’ education and promotes social vices such as; premarital sexual escapades, instant gratification, the proliferation of fake news and erosion of societal values. But looking at recent commentaries, it’s no more an overstatement that our effort to create a more humane nation has recently witnessed a setback with the advent of sports betting on our shores. In this context, there is nothing essentially wrong with sports betting if well regulated, but looking at the number of minds so far corrupted, and ‘destinies’ destroyed by this game, it becomes unfortunately true that like a turbulent ocean beating great cliffs into fragments of rocks, so has sport betting submerged our countryside, bringing social, moral cultural and economic devastation upon our youths with their future now hanging in the balance. Given this preceding awareness, nothing becomes more self-contradictory than the realization that its operation is backed by an enabling Act. Interestingly as it appears, the Act among other things provides for the establishment of the National Lottery Regulatory Commission charged with responsibility for the regulation of the business of national lottery in Nigeria as well as the establishment of a National Lottery Trust Fund. Similarly, while some pro-sports betting advocates have argued that it cannot be called a gamble as it has a regulatory agency, others at different times and places expressed a similar sentiment saying that; since the winnings of sports bets are usually predicted on the outcome of legitimate games of soccer, addressing sports betting as a gamble cannot square with logic as no good means can give birth to a bad end. Arguably a well chiseled position, particularly when one remembers that sports betting provides a means of livelihood for the teaming operators. 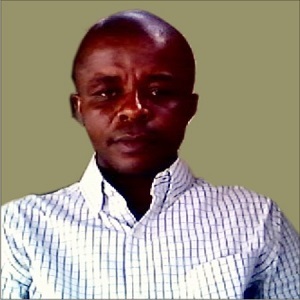 But before celebrating the vision and wisdom behind the above, it becomes more important that Nigerians first look at the crowd of young adults that daily fraternize with sports betting centres, review some ‘exiting progress’ recorded in this direction, and instincts coming from the larger society. Going by reports, the cold truth is that beyond this advantage, its negative psychological effects such as; loss of fortune, loss of businesses, depression, death through suicide, assassination or heart attack, loss of sleep (insomnia) insanity, marital problems between the gambler and the young spouse as the gambler is always temperamental and agitated- on our youths, outweighs the usefulness. But, even more, some well-meaning Nigerians recently begun to question its usefulness to national development in the face of sterling beliefs that sports betting acts as a gateway to, and possesses the capacity for, luring addicted players into criminal acts such as internet crimes (yahoo-yahoo in the local palace) and armed robbery. The questions that now confront us as a nation are; how did parents suddenly lose control over their children to yield obedience to the power of sports betting? How many of the youths in Nigeria would overcome the temptation currently posed by sports betting? Who will stop those that cannot apply the virtue of moderation? Shall we entrust the future of our youths to the present regulators? Or must we as a nation allow the useful and the useless like good and evil go on together allowing our nation to reap whatever fruit that comes in the near future? The unruly behaviour of some youths notwithstanding, the lack of political will on the part of the government to tackle the unemployment challenge in the country from its roots, or see the urgent necessity to cease politics and turn outwards to look for constructive and creative channels to fight the enemy called unemployment in the country contributes to the ever increasing number of youths that throng different sports betting centres in all the major cities of the federation. In my view, this is a clear socioeconomic problem that we collectively as a nation will have to determine how to solve, as the future strength of our nation depends on these young people. To get started, apart from coming up with a more efficient regulatory framework, government at all levels-federal state and local government areas must take politics out of our education and concentrate on empowering the youths through the creation of jobs that will keep these youths gainfully engaged as well as prepare the youths for jobs of the future- the leadership of our nation. 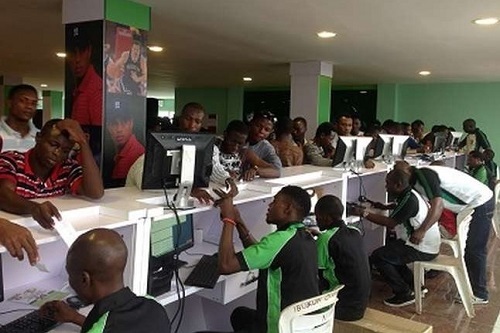 In addition to the above, skills acquisition to these youths and financial empowerment to those trained and actively regulating the business activities of these lottery outfits will be another step taken in the right direction by the government. On their part, faith-based organizations and the civil society groups as change-agents should develop the people’s capacity to welcome new ideas, reject unwholesome behaviour that can endanger individual lives and that of the entire society. Next post Observations of an Expat - Middle East: Opportunity or Setback?